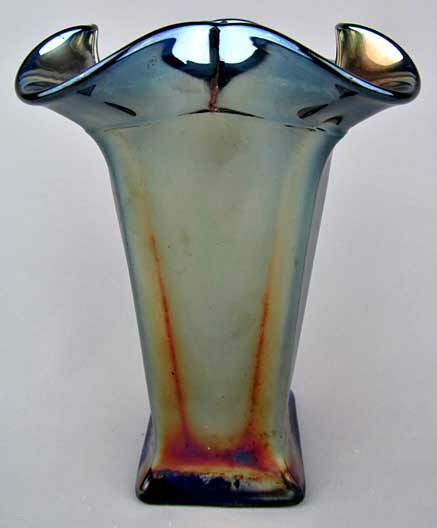 This photo of an extremely rare Dugan #501 vase was sent by King Hoppel in 2013. 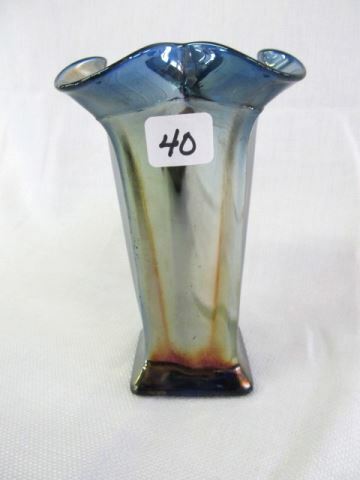 It is just over 6 inches tall with a 2 3/8-inch square base and is square ruffled. 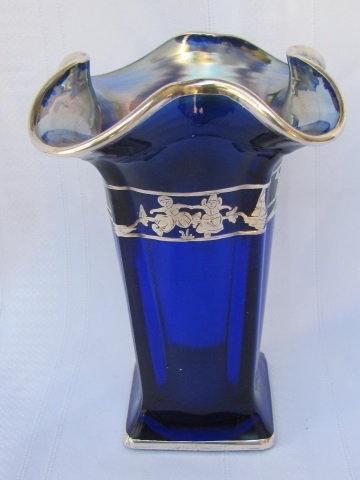 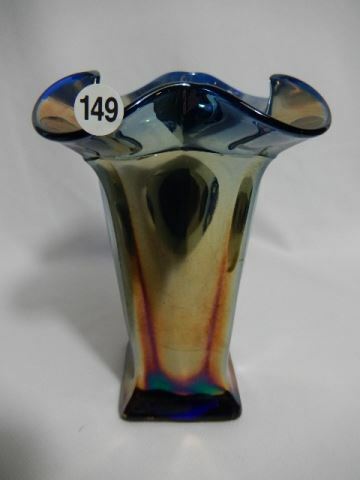 The vase has a Royal Lustre treatment over cobalt blue base glass.